I’m one of those female freaks of nature who has never watched an episode of “The Bachelor” or “The Bachelorette.” I know!! It’s not like I’ve got a problem with silly reality tv shows – I’ve watched all *cough* 18 cycles of “America’s Next Top Model” and my “Real Housewives ” addiction is so bad I even watched the *clears throat * Miami season - but “The Bachelor/Bachelorette? Just. Never. Wanted. So how did Kiera Cass’s new futuristic book, The Selection, about 35 girls selected to compete for the love of a prince jump onto my ‘to read’ radar? That dress. That gorgeous powder blue chiffon dress on the cover spoke to me. It even spoke to my three year old, who saw me reading the book and said, “Wow, Mommy, that sure is a pretty dress.” Well done on the cover art marketing, HarperTeen. Also, the librarian in me knows that even without the gorgeous dress on the cover, even without having ever watched an episode of “The Bachelor/Bachelorette,” c’mon…that plot is an easy sell to teens. But do the cover and premise live up to the promise? Turns out the current king and queen’s only son, Prince Maxon, is now nineteen and ready to take a girl as his wife. For Illean royalty, the prince chooses that special girl through a process known as “The Selection.” Thirty-five girls between the ages of 16 and 20 are randomly chosen to leave their families and castes for the opportunity to live at the castle with their competitors and vie to win the heart and hand of the prince. For as long as it takes the prince to make his decision, the girls are groomed and dressed only in the finest of clothes, eat with the royal family and go on one-on-one dates with the prince, and participate in press interviews with the nation’s Capitol Report tv show. One’s likeability with the citizens of Illea following the drama at home can impact her length of stay in the competition. Being chosen as one of the thirty-five girls comes with other benefits too. Their families are given extra money and food, which is huge if you rest on one of the low rungs of the caste-ladder. America Singer is a Five. When she receives a letter in the mail about the Selection process, she expresses no interest in batting her lashes at a prince and playing fake to become his wife, even if it would help her family and own social standing. Thing is, she’s already in love with someone – a Six named Aspen. (Maxon? America? Aspen? Lawd, these names!!). Aspen loves America too, but no one is ever supposed to marry a caste beneath them. America believes love conquers all, and though she’s willing to disgrace her family to be with Aspen, he gets cold feet and breaks up with her riiiiiiiight when she learns she’s been chosen as one of the final thirty-five girls. Hurt, America decides to help her family and relents to go to the capitol to compete. Of course, things get really good when America arrives at the castle. She quickly makes friends and enemies of the other girls, while a late night accidental run-in with the prince unwittingly turns her plans to simply last as long as she can on end. She makes clear to Maxon that she is still very much in love with someone else and is only there to help her family, but amazingly he admires her for her honesty and the two strike a friendship. As more and more girls are eliminated and Maxon and America grow closer, will America be able to let go of her feelings for Aspen and open her heart to the possibility of a future as Maxon’s wife? In true soap opera fashion, the book ends unresolved, and the Selection will continue into a book 2 and 3. 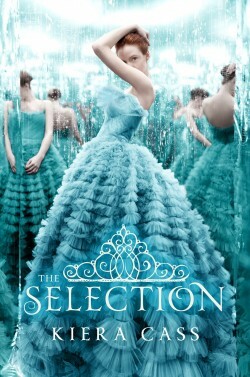 The Selection is a totally fun read. Anyone who loved Meg Cabot’s Princess Diaries series or who’s a fan of fairytales will eat this like candy. Cass wisely writes the character of America as a girl with a brain who doesn’t give all the power to the guy, and both Maxon and Aspen are drawn to her because of her thoughtfulness and outspokenness. The CW has already snatched up rights to the book as a new tv series set possibly for next spring with Aimee Teegarden (Julie Taylor from ‘Friday Night Lights’, yay!) as the lead. You can read more about the show and Kiera Cass at http://www.kieracass.com/ . 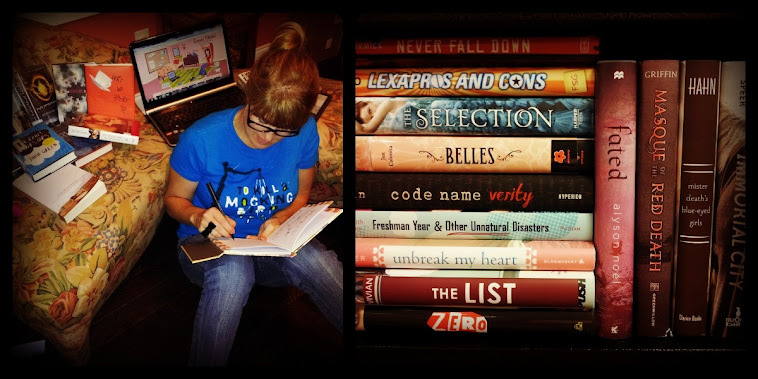 Also, Kiera Cass will be one of the authors appearing at this year's YallFest ( http://yallfest.org/ ) in Charleston, South Carolina, which I'm planning to attend along with some of my students. Yay!